The culmination of the project will be marked by the release of a full Sonnet Project Anthology, complete with special features exploring the textual nuances of the language, behind-the-scenes footage and interviews with the creators and actors. • create an interactive Sonnet Project website available to educators and Shakespeare-lovers of all ages. • develop a Sonnet Project mobile app for the delivery of each new sonnet video, which will provide access to text analysis and information about the NYC film locations. • introduce sonnet-based walking tours of NYC neighborhoods. • host Sonnet Project scavenger hunts making use of QR codes and mobile technology. • present sonnet-based events that will bring together artists of all kinds to explore the poetry through a variety of styles and approaches. 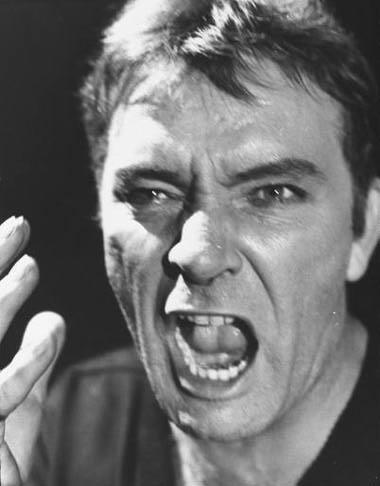 Hamlet, directed by John Gielgud and interpreted by Richard Burton, is staged on Broadway, from April 9 to August 8, 1964, at the Lunt-Fontanne theatre. The New York Shakespeare Festival produced another Hamlet with Alfred Ryder and Julie Harris and Othello with James Earl Jones. Celebration productions throughout the United States include, among many others, Henry V directed by Tyrone Guthrie at Minneapolis, King Lear directed by Stuart Vaughan, The Comedy of Errors, Julius Caesar and The Tempest staged by the Dallas Theater Center. Un groupe d’acteurs et d’admirateurs demanda la permission d’ériger une statue de Shakespeare à Central Park, et lança une collecte de fonds à cet effet. La statue fut inaugurée en 1872, accompagnée cette saison-là par une grand nombre de mises en scène de Shakespeare en allemand à l’Altes Stadttheater de New York, et l’hommage à Shakespeare de Ralph Waldo Emerson dans un discours au Saturday Club, discours qui passe pour avoir inspiré, des années plus tard, l’intérêt de Henry Clay Folger pour le poète et sa Folger Shakespeare Library. 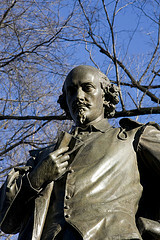 A group of actors and supporters sought permission to erect a statue of Shakespeare in Central Park, and began raising funds. 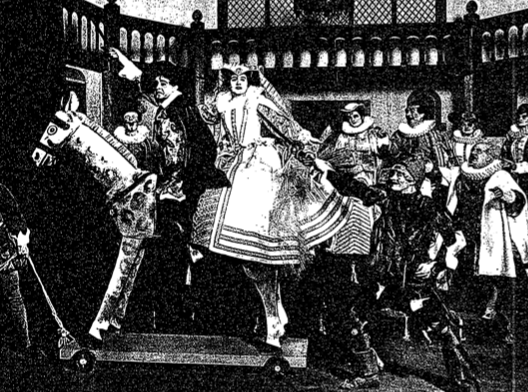 The statue was unveiled in 1872, accompanied by a large number of Shakespeare productions in German that season at New York’s Altes Stadttheater, and Ralph Waldo Emerson’s tribute to Shakespeare in a speech given at the Saturday Club which is thought, years later, to have inspired Henry Clay Folger’s lifelong interest in Shakespeare.